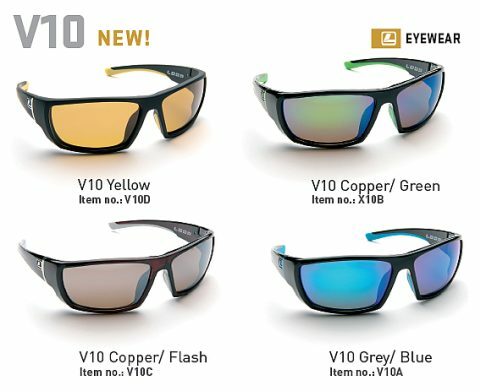 Available in four distinct lens colours (Copper/Green, Blue/Grey, Yellow, and Copper/Flash), Loop's V10 fishing glasses feature a robust and slightly wider frame design to offer total eye protection. These sunglasses utilise outstanding polarised optics and polyamide lens technology to dramatically reduce surface glare and refraction from the water surface. 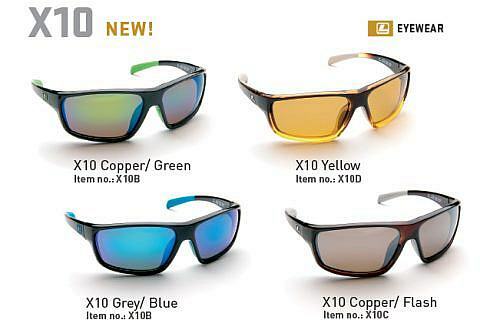 Available in four distinct lens colours (Copper/Green, Blue/Grey, Yellow, and Copper/Flash), Loop's X10 Polarised Fishing Glasses are designed with a smaller frame design than the V10 model, but still retain total eye protection from the elements. These sunglasses utilise outstanding polarised optics and polyamide lens technology to dramatically reduce surface glare and refraction from the water surface.